We just release version 2.1.0 of all SDK (iOS, Android and JS) and we advise you to use it in your own app. There are some breaking changes to be taken into account. They are listed in the changelog files on the github repositories. - It is now possible to optimize directions with multiple waypoints. - The heart of the rendering engine has been upgraded to improve performances. In particular, on the web, we are now using Leaflet 1.0. - All SDK's now contain a wrapper to simplify API requests. The loading of a map is not necessary anymore to retrieve data. The main API requests and objects are available today and we will keep enriching the SDK over the next few weeks. - The code has been optimized so the map loads faster on iOS and Android. The URLs of the Mapwize web applications have changed, mainly to increase performance. 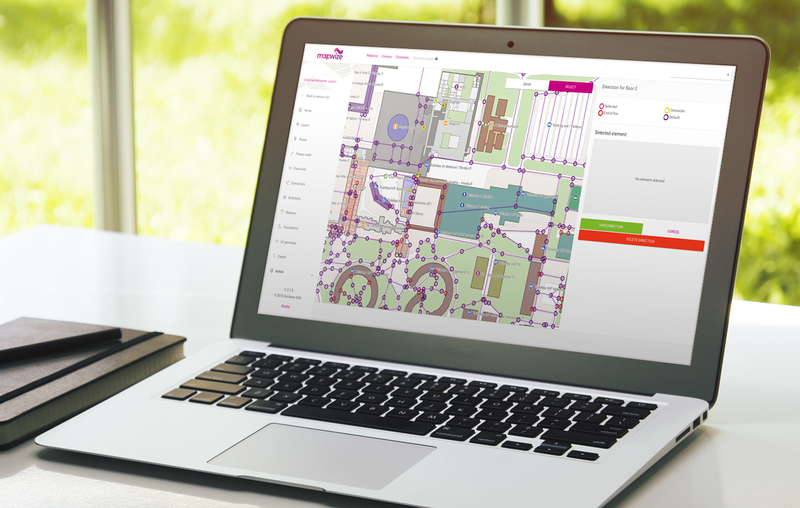 https://maps.mapwize.io is the web application to navigate public buildings and preview private buildings. For private buildings, an access key is required.. Both application are now completely precompiled and served over CDN to speed up loading all over the world. Thank you to Azure and our partner Microsoft for making this possible. Note that all former urls are properly redirected so the change should be transparent to you.